I've updated four packages to resolve a few issues and these new packages have been tested by Josh Brower (thanks!). Security Onion has moved to Github, so some of the hyperlinks in Setup and sostat had to be updated. 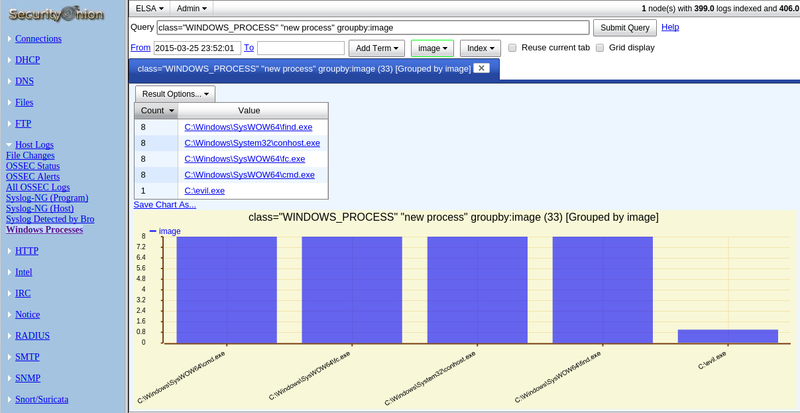 If you have Windows machines with OSSEC agents on them and process auditing enabled, ELSA now parses those "new process" logs. 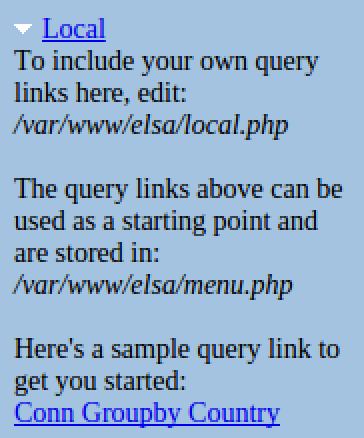 If you're running pfSense firewalls and send their logs to Security Onion via syslog, ELSA will now parse them. Since ELSA is now parsing firewall logs and Windows processes, we provide some additional ELSA queries to slice and dice those logs. See screenshots below. I've updated our NSM and Setup packages to resolve a few issues and these new packages have been tested by Pete Nelson (thanks!). As a reminder, we also have seats available for our 4-day onsite class in Houston TX! I've added the patch to our securityonion-web-page package and the updated package has been tested by David Zawdie (thanks!). I've packaged Suricata 2.0.7 and it has been tested by David Zawdie (thanks! ).